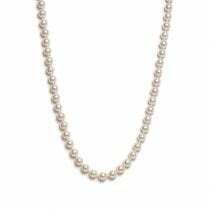 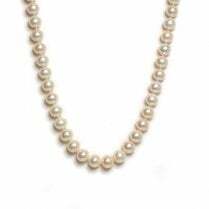 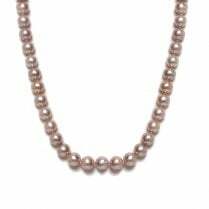 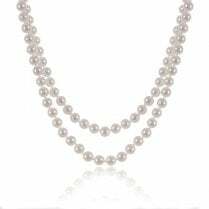 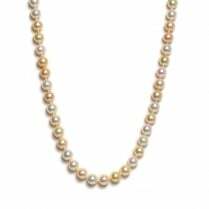 Stunning statement pearl necklet, featuring thirty nine AA grade 10.5-11mm. 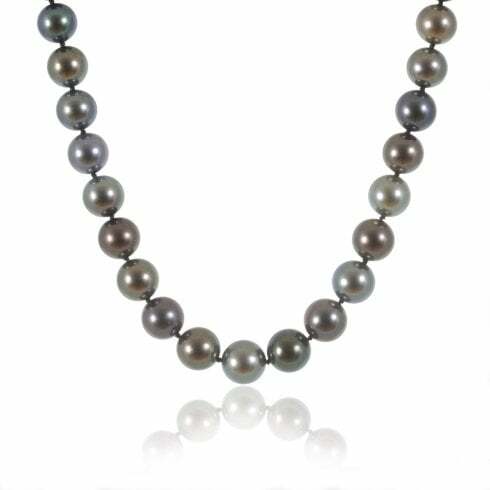 Tahitian pearls, showcasing a rich lustre in hues of green, grey and mauve, on a classic 18ct. 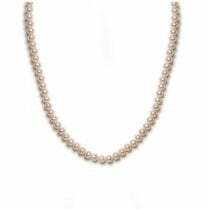 white gold ball snap fastener.